A freelance editor since 1999, I am highly experienced in a wide range of styles and programmes - including many prime-time, high-rating and award-winning shows. In 2017 I was nominated for an RTS West best editing award for 'Attenborough's Life That Glows'. I have often been the main editor on a series - cutting first or pivotal episodes and helping to create a series style, as well as editing several of the later episodes. 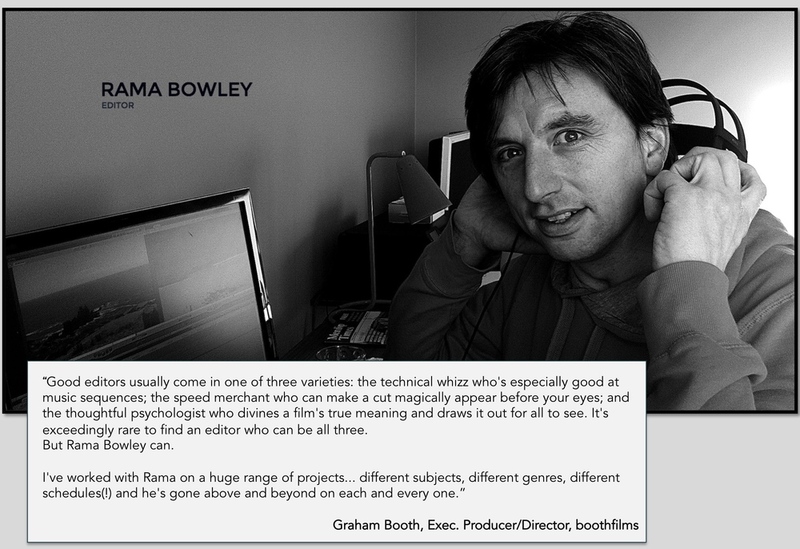 I am proactive on structure and narrative and have been credited as edit producer on a number of occasions. I also have experience as a self-shooting director. As well as the credits listed here I have edited numerous tasters, short films, music videos and charity films, and also re-cut or finished several shows that have over-run or had difficulties.